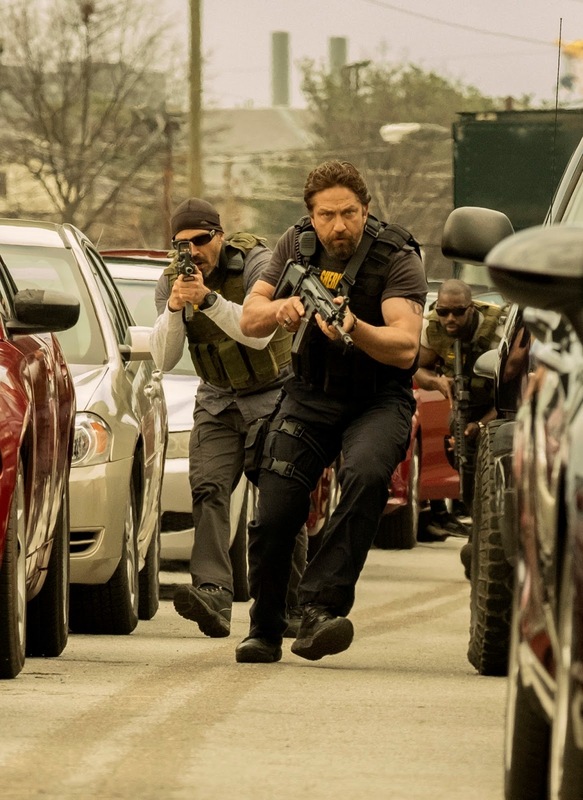 Discover the dark side of Los Angeles where cops and robbers go head-to-head in Gerard Butler’s latest action thriller movie, DEN OF THIEVES. Set in contemporary Los Angeles, DEN OF THIEVES is a crime saga which follows the intersecting and often personally connected lives of the Regulators, an elite unit of the L.A. County Sheriff’s Department; and the Outlaws, the state’s most successful bank robbery crew. 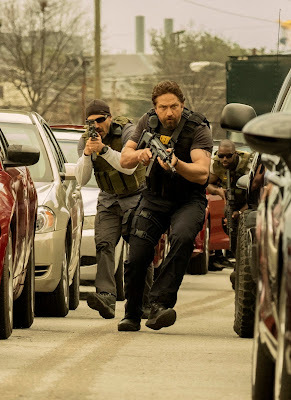 The Regulators is led by alpha dog “Big Nick” O’Brien played by Gerard Butler (Olympus Has Fallen, 300). He’s a hard-drinking career detective who will stop at nothing to put an end to the Outlaws’ crime spree. The Outlaws is led by the icy and calm Ray Merriman played by Pablo Schreiber (13 Hours: The Secret Soldiers of Benghazi, Orange is the New Black). The Outlaws operate with military precision, meticulous planning, and employ subject matter expertise – all skills acquired from military special ops service and prison stints. After taunting the authorities for years with increasingly ambitious unsolved robberies, Outlaws leader Merriman sets his sights on the ultimate heist: infiltrating the Los Angeles branch of the Federal Reserve and steal $30 million of unfit U.S. currency being taken out of circulation before it can be shredded and destroyed. They plan to steal money that nobody is looking for. Meanwhile, The Regulators starts a tense game of cat and mouse as they work to tie the Outlaws to a string of unsolved heists and anticipate their next move. In a series of escalating confrontations, it soon becomes apparent that neither side plays by traditional rules, and there are no heroes or villains in the intricate face off. In the end, it’s an explosive battle between equally-matched opposites, reaching a thrilling, and entirely unexpected climax. DEN OF THIEVES is written and directed by Christian Gudegast, the brilliant writer of the worldwide smash hit “London Has Fallen.” He was reading “Where the Money Is,” a nonfiction book about how Los Angeles became the bank robbery capital of the world, when he saw a photo in the Los Angeles Times; the photo, taken at the Federal Reserve Bank, was of a massive tub of money. The photo and the book sparked an idea, and Gudegast wrote the story that would eventually become the basis for the screenplay. The film also stars Evan Jones, O’Shea Jackson Jr., and Curtis ’50 Cent’ Jackson. This film also marks the directorial debut of screenwriter and producer Christian Gudegast (London Has Fallen). Catch the high-octane grand heist thriller action of DEN OF THIEVES in cinemas nationwide on March 14. Presented by VIVA International Pictures and MVP Entertainment.